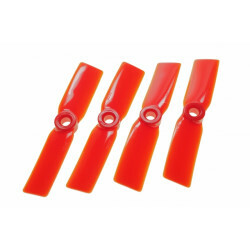 DYS T4045 4 Inch Prop set of four (2 CCW 2 CW)Model: T4045-0Hi-Performance Prop FPV bullnose propell..
DYS ABS-5045 5 Inch Prop set of four (2 CCW 2 CW)Model: ABS5045Hi-Performance Prop, FPV propell..
DYS T3545 3.5 Inch Prop set of four (2 CCW 2 CW)Model: T3545-BHi-Performance Prop FPV bullnose ..
DYS T3545 4 Inch Prop set of four (2 CCW 2 CW)Model: BN4040Hi-Performance Prop FPV bullnose pro..
DYS T5045 5 Inch Prop set of four (2 CCW 2 CW)Model: T5045Hi-Performance Prop FPV bullnose prop..
New from DYS are these hi-Performance FPV three blade bullnose racing multirotor props. 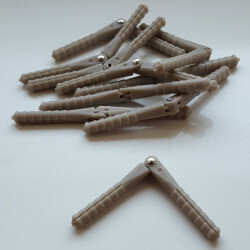 Manufactured from tough reinforced nylon they are super efficient and will improve your speed and punch out of the corners. 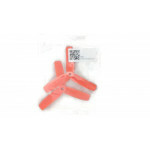 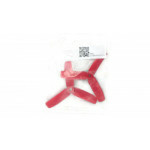 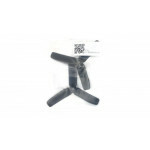 The props are packaged in pairs with one clockwise and one counter-clockwise rotation. 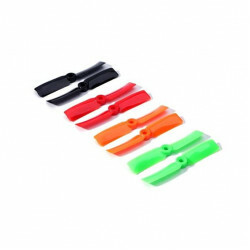 They also come in a range of colours to sharpen up the look of your multirotor and to assist you in the orientation of your model when flying line of sight. 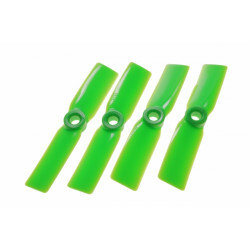 These are perfect for 120 to 300 racing drones. 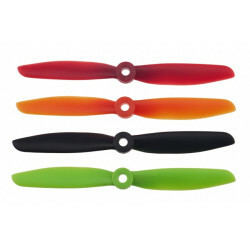 Color: Green, Orange, Black and Red. 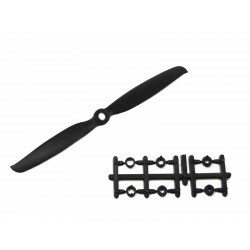 Tags: New from DYS are these hi-Performance FPV three blade bullnose racing multirotor props. 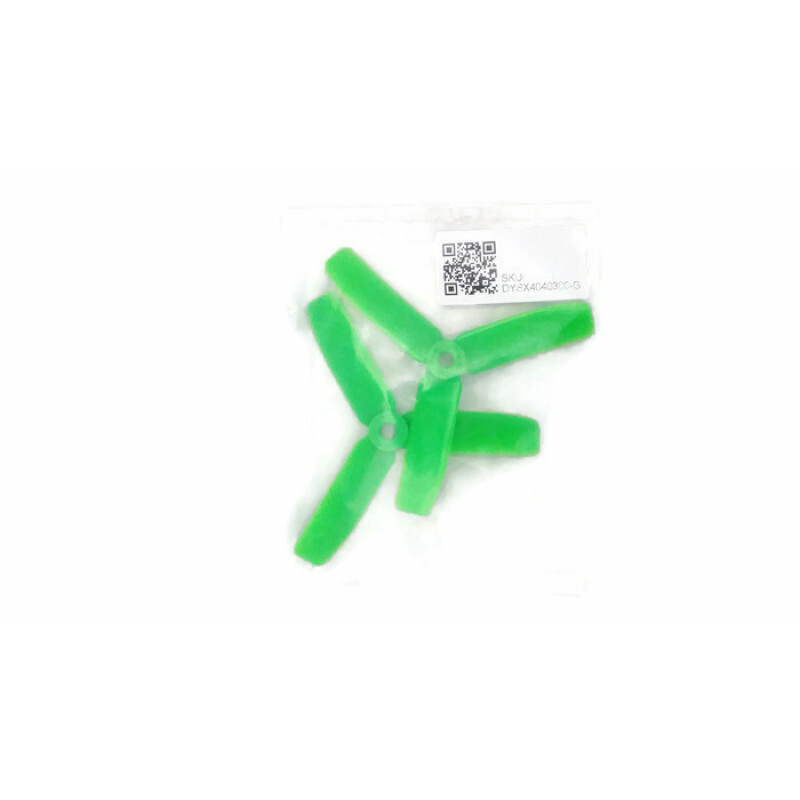 A pack of 10 Pivot pin hinges.10 in a pack.67mm Length4.5mm Diameter..
DYS T3030 3 Inch Prop set of four (2 CCW 2 CW)Model: T3030Hi-Performance Prop FPV bullnose propeller..
DYS A2830/8 1300KV G-Power Series Brushless Outrunner MotorThe motor comes w..
DYS D2836/9 880KV G-Power Series Brushless Outrunner MotorThe motor comes with a..
Towerpro SG90 Analog ServoThe hugely popular Budget SG90 Analog servo.Weight: 9gDimension:..
8x3.8 Electric Sports PropellerA well made Composite Propeller for Electric models.Includes adapter ..